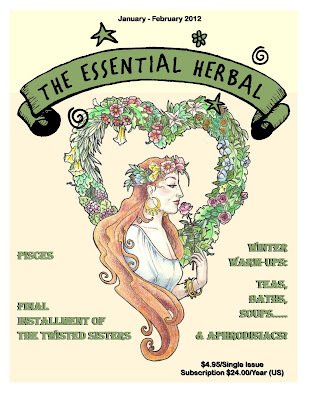 Great time to be an Essential Herbal Magazine subscriber! I've been plotting and planning for a while now. It isn't everyday that a little independent business celebrates 10 years, you know. I'm so grateful for each and every one of our subscribers, advertisers and writers, because without them, we would not exist. One of the treats in store for our subscribers is about to start on January first. Over the past 6 months or so, I've been gathering gifts. 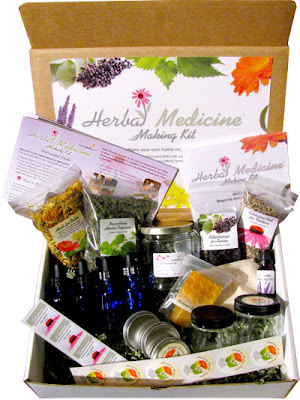 At the moment, I'm waiting for a little something to be delivered from the printer, and there is a huge box in my office filled with herbal goodies. Being (as mentioned above) a little independent business, they aren't huge, but we'll be seeing to it that at least 1 in 10 of our subscribers (current as of Jan '12) will receive one of these prizes. Additionally, some of our friends are chipping in to make this even more special. Maryanne from Lancaster County Soapworks, Etc. Roe from SunRose Aromatics, too! (and if you are a subscriber, advertiser, or writer who would like to take part, drop me a line...). Nothing is required. I'll start drawing names on the first, and sending out gifts on the second. I'll list winners and prizes as we go along (probably weekly). This is going to be fun!!! 12/28/11 - please see update at end of post! The Landreth Seed Company is in my home state of Pennsylvania, and has been in business since 1784. For all these years, this company has been purveying heirloom seeds, and now sells books, bulbs, cool gardening products, and seed sets to help home gardeners put good, wholesome food on their tables. 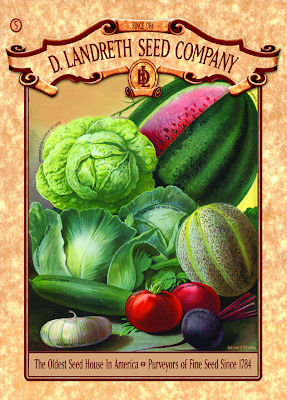 Additionally, Landreth has one of the most beautiful seed catalogs, drawing on their history with gorgeous illustrations and lots of information. Earlier this year, they let it be known that the economy was taking its toll on the company. They put out the call, asking people to purchase these beautiful color catalogs for $5 each and they were inundated with orders. They aren't just catalogs, by the way. They are magnificent publications filled with information and historical details about the seeds, plants, and gardening techniques. All was going swimmingly until their credit card processor decided there was money to be made. The story is here. This story hits home for me from many directions. To begin with, I love that they continue publishing this lush, delightful printed catalog. I know how hard it is to do that, knowing that it is what people love (to hold it in their hands, carry it with them, mark off what they'd like, smell the paper and ink...) while it would be so much easier to publish it on-line. They have it printed locally by a family owned printer - just like we do here at TEH. Secondly, I have immense respect for the way they chose to raise money to keep the company going. If you've been a subscriber or been around for a while, you might know that although this is our 10th year of publication, there were several years in the beginning where there wasn't a thin dime of profit and I didn't draw pay at all. So now, I get a little "twitchy" when I see people asking for donations because they'd like to start a business, improve their business equipment, take a trip, or live their dream - as if we wouldn't all like those things, but theirs is more important. Business is hard and this is a business. If the business couldn't cut it, then it really isn't a business. Landreth did put up a fund-raising link, and I imagine that was a difficult thing for them to do. More than anything, they asked people to consider ordering their catalog. You have to respect that. They didn't mismanage funds or over-borrow. They just ran into the economy during their fourth century in business. Thirdly, I also recently found that my own processor was grossly overcharging me. After the fact, they offered to do better to keep me, but there was absolutely no way I would do business with them any longer. I don't take advantage of my customers until they "figure it out", so why would I reward someone who did that to me as their customer? Now, although Landreth has been robbed by their credit card company, who has arbitrarily decided to hold up to $50,000 for some undetermined amount of time, they are not asking for donations. They're asking people to share the catalogs with friends in the hopes that people will order seeds. If you are someone who doesn't understand what the Occupy Movement is about, this story might help you. I know where all of my garden seeds are coming from this year. And I will send the order through the mail and pay with a check. From the Landreth Seeds Facebook page today: "GREAT NEWS!! Your facebook posts, letters and emails and voicemails WORKED. We have just received a call from FDMC, literally moments ago, and they are releasing our funds which should be in our account by Friday. YOU DID THIS. They would never have listened to us, but they did listen to all of you. It is now being said that social media will mean the democratization of process and you have just proven this. You have proven that true justice can be accomplished, quickly and efficiently, even in America. Thank you Landreth friends. You truly are amazing. And Deborah, I promise you, this is the last of the drama. Now we at Landreth can focus on the business of providing you with great heirloom seeds, roots, tubers, bulbs, sets, plants, etc. and continuing the business that the Landreth family started 228 years ago - teaching Americans how to live off the land by living with the land. Thank you, thank you, thank you." 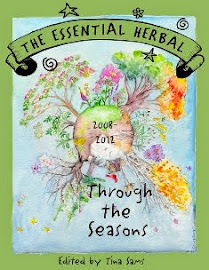 The Jan/Feb '12 issue of The Essential Herbal Magazine is in the mail, winging her way out to subscribers. We are thrilled to be starting a new year and a new decade (for the magazine) with this gorgeous issue, filled with all kinds of love. 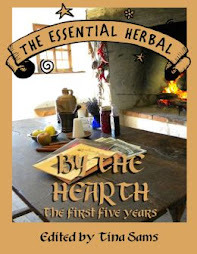 Recipes, crafts, ideas, information and herbal lore are stuffing every page. You're going to love it! Learning is a never-ending joy. We’ve been doing lots of it around here lately. Artist Carolina Gonzalez contributed an original work depicting Flora, goddess of spring for this issue that focuses on love. Blending herbs to fill your tub with tea is a delightful way to care for yourself in the winter and to chase away a chill. Instructions and recipes included. Mouth-watering recipe for this buttery bread, with several options to change it from savory to almost a desert. What could be better than sugar infused with the flavor and fragrance of luscious vanilla? Make your own! Sweets for the sweet – but this isn’t chocolate. How about a massage oil or a special bath to spice things up? Learn about this plentiful, easy-to-grow root vegetable and how to prepare, cook, and preserve it. So good for you! 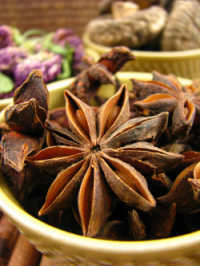 Exotic Masala Chai demystified with some history and several delicious recipes. You’ll be trading this for cocoa (well, maybe not all the time…) once you’ve gotten to know the scents and flavors in this decadent yet healthful beverage. Learn about what herbs will and won’t do in the love department. 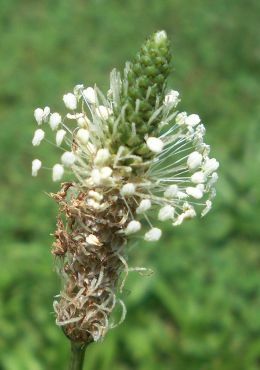 Long considered to be almost magical in their effects, there are specific actions of some herbs that actually do work as aphrodisiacs. Find out which ones. Full instructions for making standard (little trees) and wreath-shaped topiaries as well as a listing of plants that work well for them, and how to care for them once you’ve got them started. After the holiday season, most of us are running on fumes. How do you refill that cup so that you have something left for yourself and your loved ones? There is nothing like a pot of savory soup waiting at the end of a long, cold day. They warm us up, nourish us, and taste delicious. The Mushroom Ginger Soup is a new favorite here! Sharing your biggest mistakes publicly isn’t always the smartest move, but it’s always been our favorite method of teaching. We do it so you don’t have to! This is the final installment of the book. 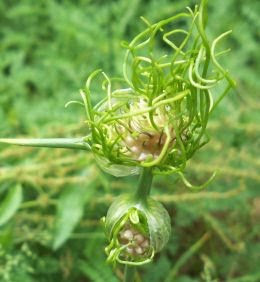 Moving to a different climate can cause havoc in the garden. Luckily there were some herbs stashed away so that the creativity in the soap pot goes on. Some great, quick ways to take a regular Camelia sinensis tea and make it herbal. A favorite Gardeners Salve from rugged Montana! As small businesses, there are so many ways we can work together to make things simpler and easier to afford. Pisces finishes up this 2 year series from Susanna (with much help from her mother, Bertha), and brings a little more ginger to the winter as well as several other Piscean herbs. Local Herb Classes - Come have some fun! We've been getting a lot of requests for classes lately, so we're going to give it a shot this winter after things calm down. If you're anywhere near Lancaster PA, we're local to you. We love doing classes and we enjoy meeting local herbies and digging in together. We are looking forward to having a great time in the following workshops! All on Saturdays from 1pm til 3pm at the workshop at Frog Hollow. class size is limited to 10. Click on the link above to reserve your space! Over the years we've gathered a group of terrific, ethical, and talented businesses that choose to advertise on our pages. Many stay with us for years, and on occasion we've turned down ads that didn't fit in with what we're doing here. So I am pleased and proud to present the following shopping guide. While you look through the links, be sure to note blogs or newsletters that might be a little gift for yourself if you sign up! Alicia Grosso of Annabella and Company - Alicia has written books on soapmaking and often shares her expertise with our readers. 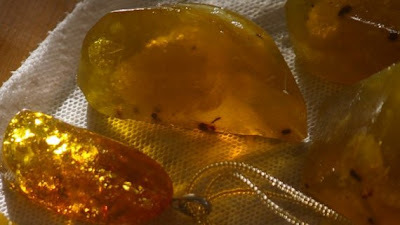 Check out her amber soap or any of her other delightful offerings. 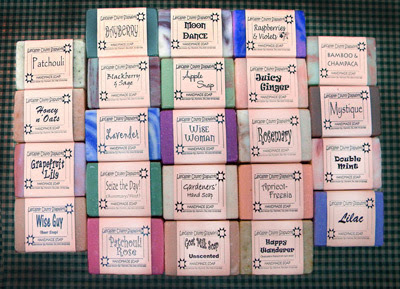 A supremely creative woman, her soaps are a touch of the divine. BJ's Lavender - culinary lavender (including a lavender/black pepper blend), wedding favors, teas and soaps celebrating the beauty, flavor, and fragrance of lavender organically grown right on Brenda's farm. 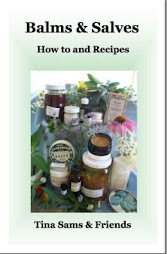 Blessed Maine Herbs - Gail Faith Edwards' website is filled with her books and the herbs and gatherings of her family on their farm. 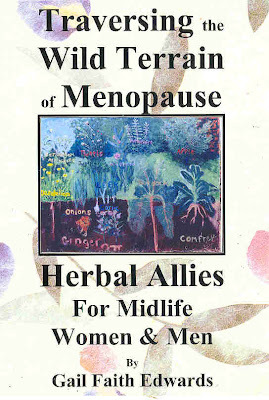 The book "Traversing the Wild Terrain of Menopause" is a great resource that was discussed on our discussion list yesterday! 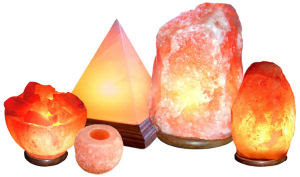 Read some articles or browse the Baltic amber, pashmina shawls, and gorgeous organic herbal products. 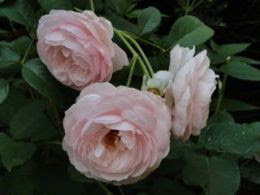 OR a fabulous dream herbal tour of Italy in the spring. Farm at Coventry - Susan's classes are renowned in this part of the country, so if you know someone who'd be interested in her Homestead Herbalism course, don't hesitate! 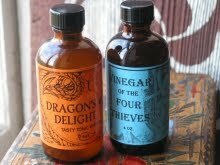 She also makes Faux Joe herbal morning beverage and other delightful products like Dragon's Delight or Four Thieves vinegar, soaps, creams and comforts. 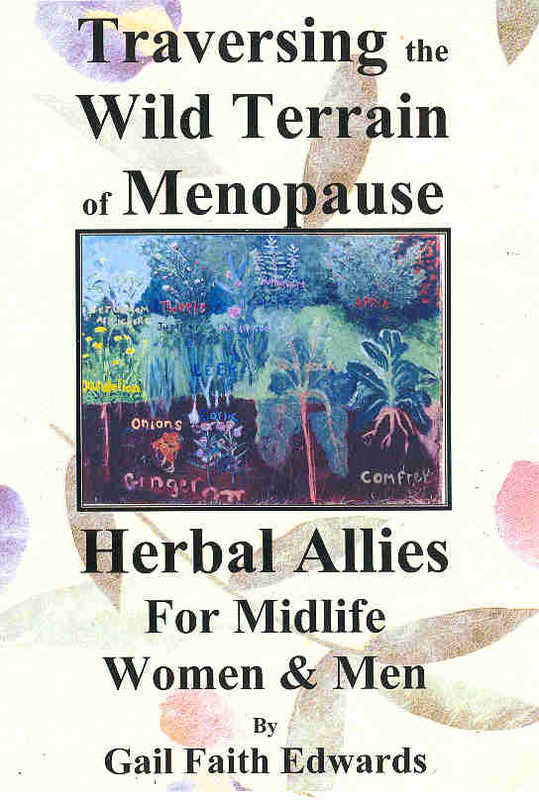 Herbal Roots Zine - Parents or playful, inquisitive grown-ups wishing to share the joy of plants will love this zine, available in pdf format. 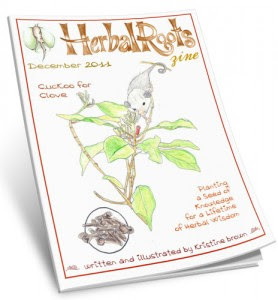 Filled with a variety of fun learning opportunities that focus on one herb per month, Kristine writes and illustrates the magazine with obvious love for the plants. It will enrich your child's life and impart knowledge that will stay with them forever. 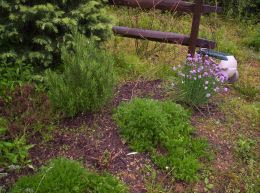 HerbMentor - John Gallagher has created a site filled with information, videos and a forum all about herbs and incorporating them into your life. Check out their Herbal Medicine Making Kit, or join the herbal community for a fair monthly fee. 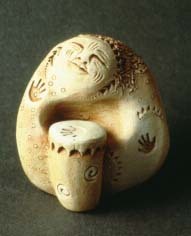 Bell Pine Art Clay Statues, Bath and Body, Salves and Balms,incense, books and ceremonial/magical herbs and items. I live near this shop and get to see it first hand. Sarah has a fabulous selection of gifts. Lancaster County Soapworks, Etc. 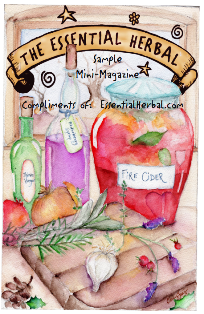 - Maryanne (my sis) does the layout for The Essential Herbal and a wholesale soapmaker, but her soaps are available through The Essential Herbal. I make soap with her when I'm not working on the magazine. 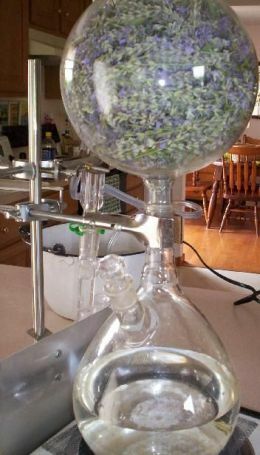 Mountain Rose Herbs - the premier source of bulk herbs and accessories, as well as oils, books, and teas (etc., etc.) 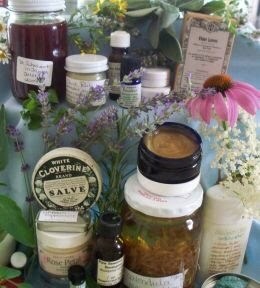 A gift certificate would be a welcome and perfect gift for any herbalist, aspiring or experienced. 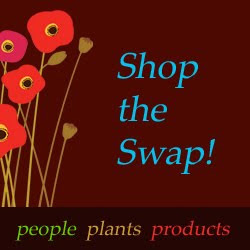 Poppy Swap - if you haven't shopped the swap yet, get on over there today! Our hostess, the unstoppable Kiki, has come up with an amazing concept and Poppy Swap has over 100 herbal shops filled with the best creations of wonderful herbalists. 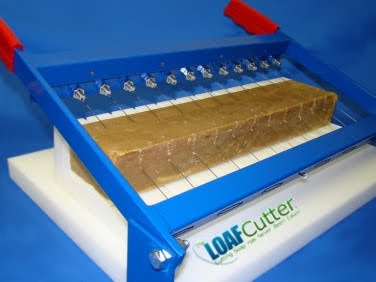 Soap Equipment - the problem solvers of the hand-crafted soapmaking industry. 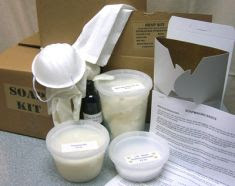 If there's a soapmaker on your list, soapequipment.com can make their life easier. In fact, Ron and his crew will create equipment especially to your specs so you can keep the bar size or shape that makes your heart sing! SunRose Aromatics.com - Rosanne has a dizzying array of the most incredible oils (I'm sniffing some Cocoa Absolute as I type), carrier oils, chakra balancing sets as well as an information packed book to help you choose balancing oils, diffusers, incenses, teas, and ... and.. well, just get lost on her website for a little while and you'll be transported. The Original Soap Dish - Great source of supplies for the soap or lotion maker with some very hard to find items. 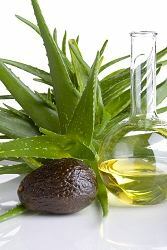 Becky works hard to find the best sources, the most effective ingredients, and stay reasonably priced. Want to make soap or lotion? Then you want to start here. Honey powder, coconut milk powder, beeswax pastilles... oh my! 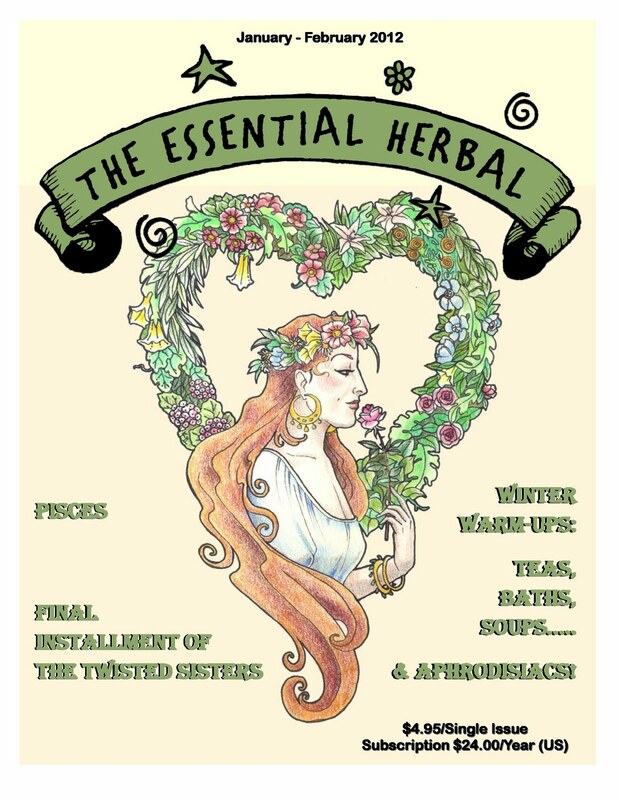 And of course, Gift Subscriptions for The Essential Herbal Magazine are available right through the holiday season. Everyone needs one of those! 10 years of printing a magazine is an amazing thing. A niche magazine is even more amazing. At a time when most magazines are either folding or going to the much cheaper electronic format, to be an indie print publisher all this time, watching our subscription rate climb and our circle ever widening has been a true labor of love. The first issue of the next decade is currently with the printer. Oddly enough, it is all about love. As usual, we never plan our theme, trusting our generous contributors to lead us as they follow along with the seasons. So it is a rich and wonderful coincidence that as the pages fell together, the general theme turned out to be love and care. Along the way, it took a while to find out who we were. 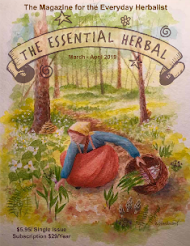 During the first few years, I'd look at the other herb magazines out there and wonder if maybe we should try this or that, to be more glitzy, less grassroots, or if we should attempt to be more ... well, anything. In the end, I've always returned to the original vision and try very hard to avoid looking at what others are doing. In the past 5 years, I've probably glanced through other herb magazines 3 times because it sways me temporarily or makes me question what we are about for a moment of unnecessary anxiety. That first vision, sitting on a porch talking over a glass of wine, the clear idea and mission, was that every day people get up in the morning and decide that they want to learn more about the plants around them and bring them into their lives. I know because I was one of them at one time. They need a publication that feels like they're sitting with friends who share their own ways of doing things. They want something that each time it comes to their door, there will be something that will open a window into the world they are attempting to enter.For some more seasoned herbalists, it might rekindle something hey had already forgottne or remind them of something they had always wanted to try. I learn new things in every issue. The other side of that is that there are people who have the willingness to share what they know with others. All levels of herbalists have taken the time to hold out a hand to each other in this process, and it has been beautiful to watch. The inclusion and friendships that have formed through the magazine and the various group activities have left me shaking my head in awe at times. And so, I wanted to take a moment and thank each and every person who has been a part of the first 10 years, and those who are coming along with us or joining the herb party now or in the future, as we move into this next decade. Thank you from the bottom of my heart. You've made my life richer and more meaningful, and I couldn't have done a bit of it without you.